Gwyna is just a small girl, a mouse, when she is bound in service to Myrddin the bard – a traveller and spinner of tales. But Myrdin transfroms her – into a lady goddess, a boy warrior, and a spy. 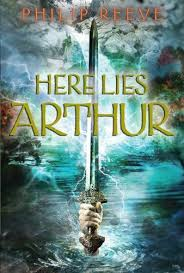 Without Gwyna, Myrddin will not be able to work the most glorious transformation of all – and turn the leader of a raggle-tagglear-band into King Arthur, the greatest hero of all time. Greece in the age of Heroes. Patroclus, an awkward young prince, has been exiled to the kingdom of Phthia. Achilles, ‘best of all the Greeks’, is everything Patroclus is not — strong, beautiful, the child of a goddess — and by all rights their paths should never cross. Yet one day, Achilles takes the shamed prince under his wing and soon their tentative companionship gives way to a steadfast friendship. Fate is never far from the heels of Achilles. When word comes that Helen of Sparta has been kidnapped, the men of Greece are called upon to lay siege to Troy in her name. Seduced by the promise of a glorious destiny, Achilles joins their cause. 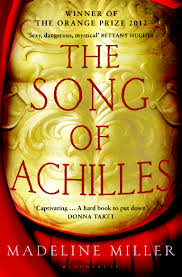 Torn between love and fear for his friend, Patroclus follows Achilles into war. What have you been reading this week? Any Historical novels you’d recommend? Feel free to leave me a comment below! 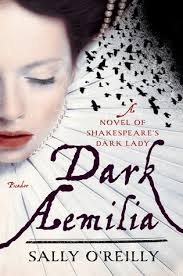 This entry was posted in Book of the week and tagged Book of the Week, Dark Aemilia, EM Castellan, Here Lies Arthur, historical novel, Madeline Miller, Philip Reeve, Reading, Sally O'Reilly, The Song of Achilles. I finished The Book Thief not too long ago, and absolutely loved it. It’s not as “long ago” as the novels you recommended (it takes place in Nazi Germany in the 1930s and World War II), but it’s one of the most emotionally moving stories I’ve ever read. These Book you recommended all sound great!